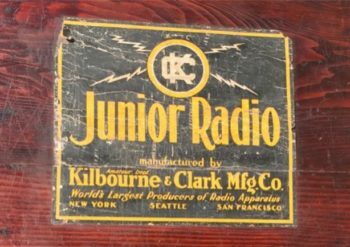 A century ago, Kilbourne & Clark of Seattle sold enourmous amounts of wireless gear up through World War One. By 1922 it was out of business. In about 1919 it entered the market for kits of parts to be assembled into a low power wireless telegraphy outfit for boys (whose parents could afford it).